We thought we should flood you with a few sweet treats. 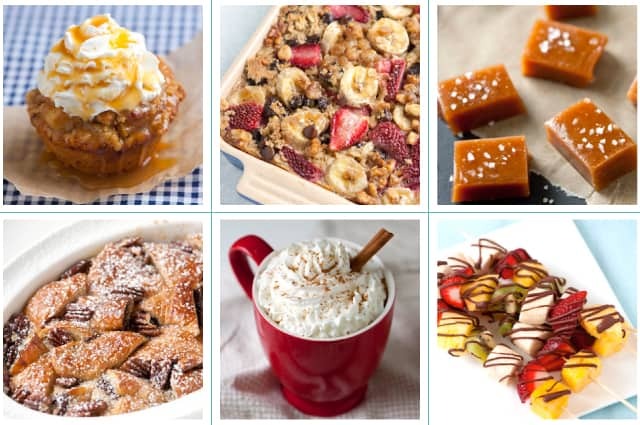 Here are our top six favorite sweet recipes that have satisfied our sweet tooth recently. You don’t mind do you? Apple Pie Cupcakes are “cupcakes” with a cinnamon roll bun crust, sauteed apples in the middle and brown sugar streusel on top. 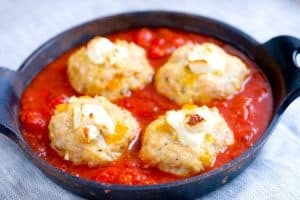 They are completely over-the-top, but so delicious! Oh, yeah, we added whipped cream and caramel on top, too. 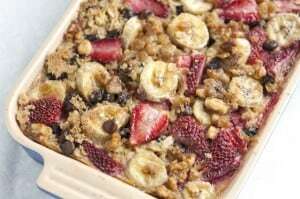 Baked Oatmeal with Strawberries, Banana and Chocolate was a huge hot with readers. 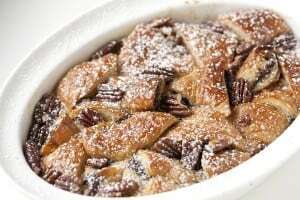 In fact, after strenuous calculations (otherwise known as looking at WordPress Stats), we have determined that this baked oatmeal is one of our top recipes since we started blogging in 2009. Salted Caramels were also a huge hitter leading up to the holidays and is still one of our recent favorites. 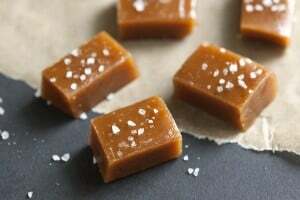 The caramels are buttery, sweet and have the perfect hint of salt. Nutella Bread Pudding serves six, but somehow only made it past Adam and I. We finished it in two days flat. I think we’re still dreaming about it. 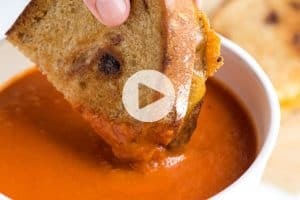 It is without a doubt a MUST TRY! Pumpkin Spice Latte at Home was big on Facebook this year. 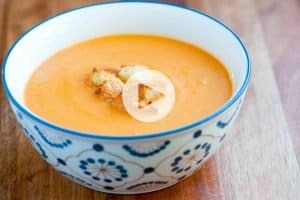 Oddly enough lots of people have praised us for actually adding pumpkin to the recipe. 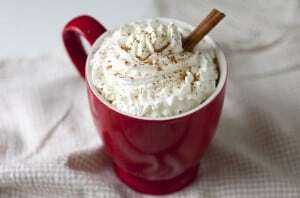 Did you know there are lots of Pumpkin Spice Latte recipes out there with no pumpkin? 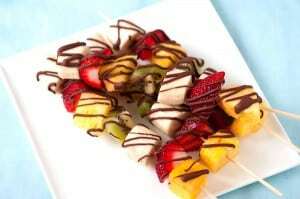 Frozen Fruit Skewers with Chocolate Drizzle are still one of my favorites. I still think they would be perfect for a party. Just cool some fresh fruit in the freezer and then drizzle with the chocolate syrup that turns into a hard shell. So easy! What was your favorite? Maybe sweets just aren’t your thing. You could take a look at some a little lighter? To see some of our favorite light recipes, take a look at nine of our favorite fresh spring recipes.